What’s the first thing that you think of when someone mentions Uwell coils? If you’re a member of Uwell’s legion of dedicated users, there can be only one answer to that question. The first thing you need to know about the Uwell vaping experience is that Uwell means flavor. You could own the tank that produces the biggest vapor clouds on the planet, and it wouldn’t matter if you missed one iota of your e-liquid’s delicious flavor. Although Uwell coils have always prioritized flavor above all else, the company’s products have never been slouches when it comes to vapor production. 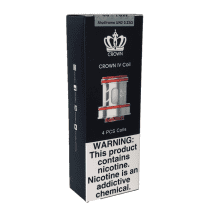 The Uwell Crown 3 produces impressively large vapor clouds that always remain clean, focused and full of flavor — and if you like that, you’re going to love the new Uwell Crown 4. 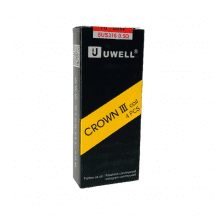 Hand polished for top-notch fit and finish, the Uwell Crown 4 is a tank that absolutely redefines luxury vaping. It has a bottom well that actually catches condensed e-liquid and sends it back to the coil, keeping the tank clean and eliminating waste. How cool is that? 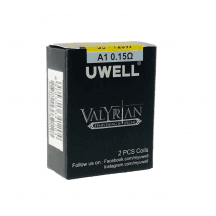 When you need some replacement Uwell coils for the best price, you can find your coils right here. At Vapors Planet, we guarantee that our coils are always authentic, and we never charge shipping for any retail order.